Folk Studio are proud to present the brand new single released by Reet Kaur entitled “Miss You“, music by Jay K! 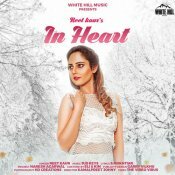 White Hill Music are proud to present the highly anticipated brand new single released by Reet Kaur entitled “In Heart” featuring Jus Keys! ARE YOU Reet Kaur? Contact us to get a featured artist profile page.